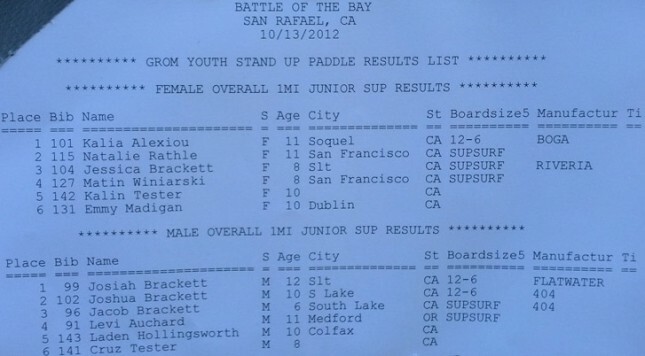 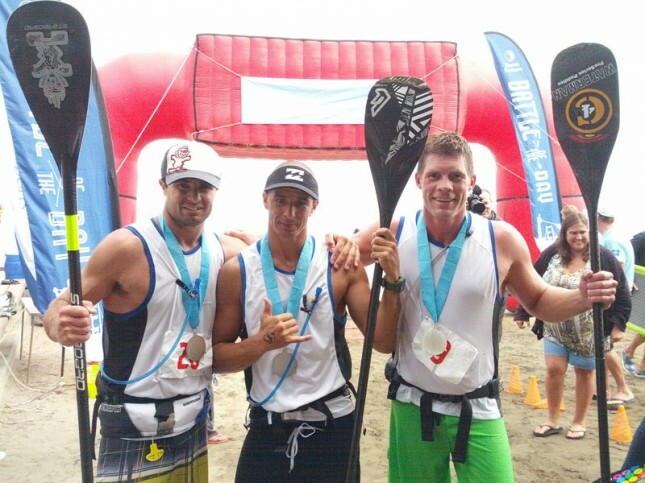 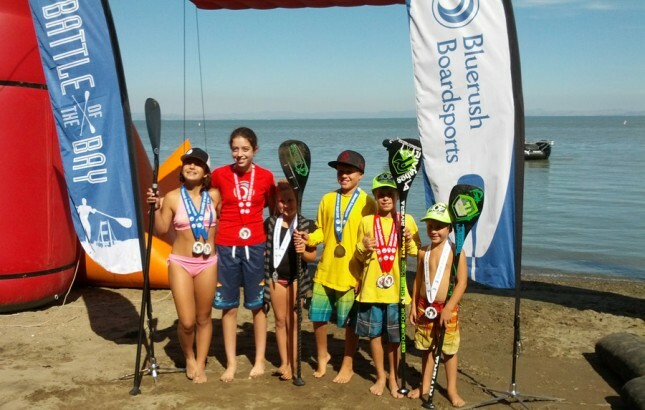 The Battle of the Bay SUP race has just wrapped up for another year. 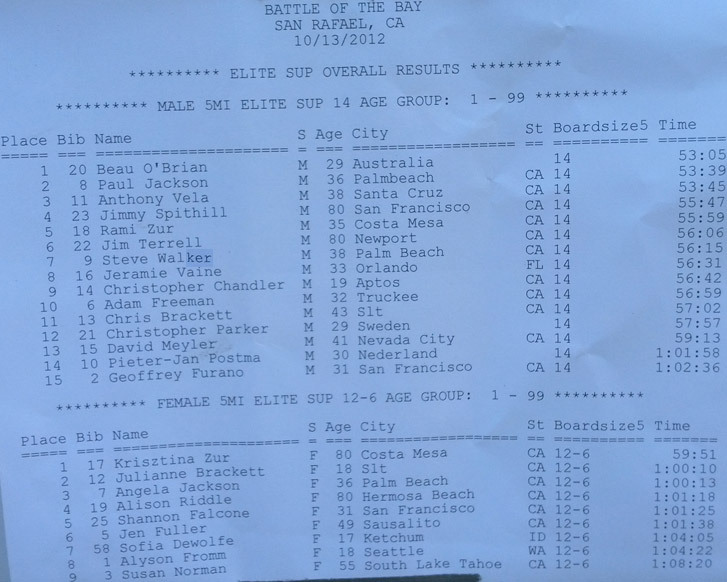 Aussie Beau O’Brian was the big winner this weekend, taking out a double victory by winning both Saturday’s Course Race and Sunday’s Distance Race. 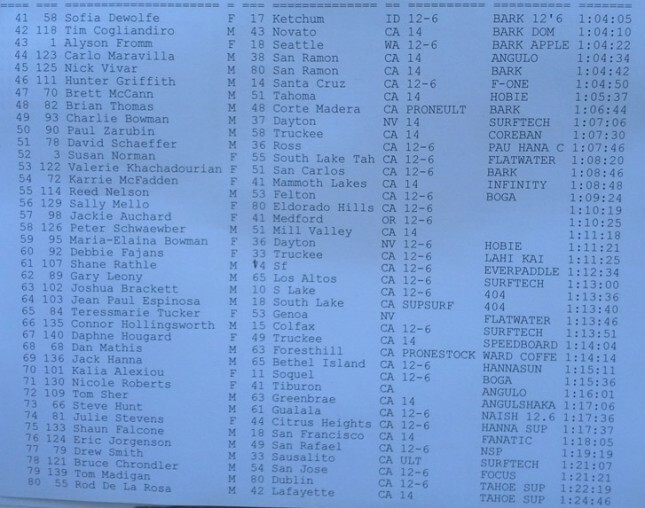 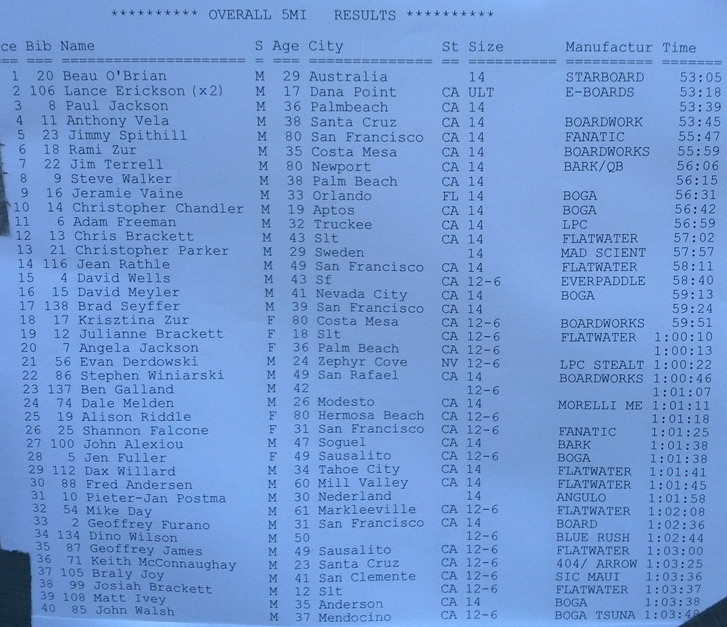 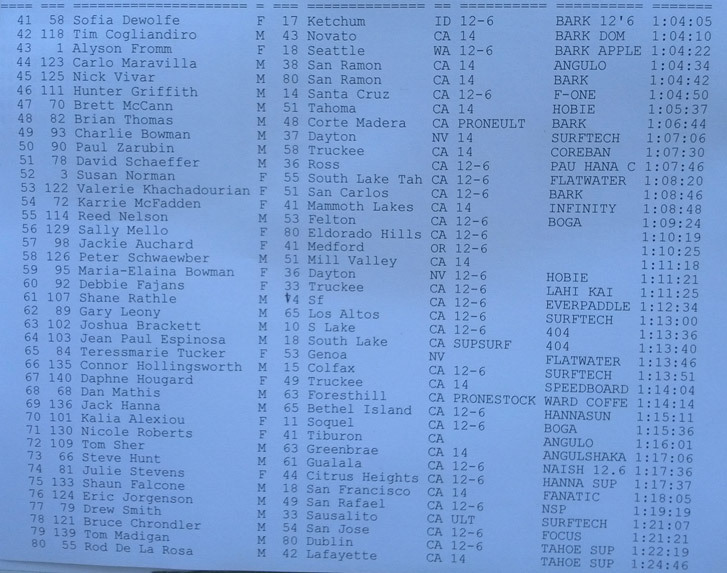 Paul Jackson scooped two second places, while Jim Terrell put in a strong performance in Sunday’s Distance Race to claim third in the overall combined results. 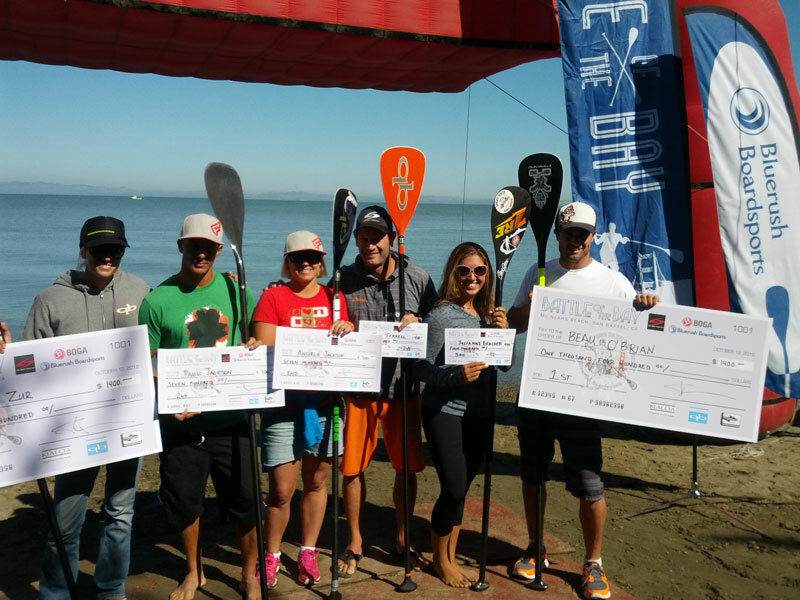 Meanwhile in the women’s it was Krisztina Zur with the double, taking out the overall title ahead of Angie Jackson and Julianne Brackett. 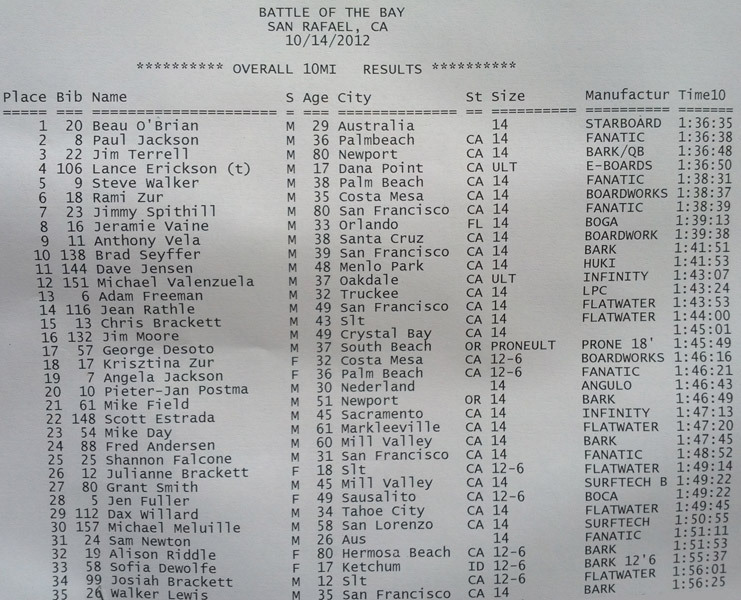 Great weekend of racing in the San Francisco Bay Area, with light winds and mostly blue skies. Scroll down for the full results from the 2012 Battle of the Bay below, then check back tomorrow for plenty more pics of the action.